London Law Firm Indirectly Leaked J.K. Rowling's Pseudonym : The Two-Way It was revealed this week that the Harry Potter author wrote a detective novel under the name Robert Galbraith. A law firm she dealt with has come forward to say one of its partners let the secret slip to a friend of his wife's, who then tipped off a newspaper. 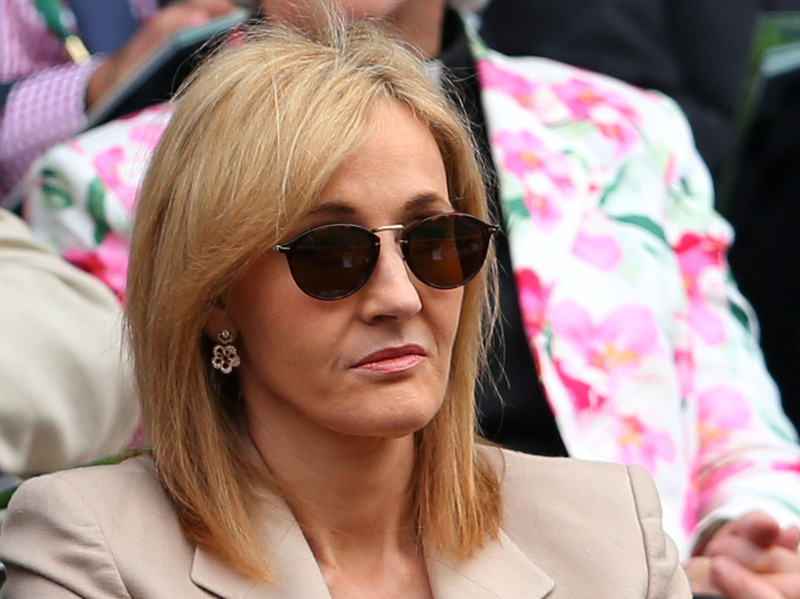 Looking a little mysterious: J.K. Rowling in the stands at the Wimbledon Lawn Tennis Championships last month. The mystery of who was responsible for spilling J.K. Rowling's secret has been solved. As The New York Times and other news outlets report, a London law firm has stepped forward to reveal that it is to blame for the leak that outed the Harry Potter author as the "Robert Galbraith" who wrote this year's detective novel The Cuckoo's Calling. According to The Associated Press, Russells Solicitors "said Thursday that one of its partners, Chris Gossage, had let the information slip to his wife's best friend." She then apparently tipped off the Sunday Times. "We apologize unreservedly" to Rowling, the law firm added. Rowling, says the Times, issued a statement that says, in part: "I had assumed that I could expect total confidentiality from Russells, a reputable professional firm and I feel very angry that my trust turned out to be misplaced."